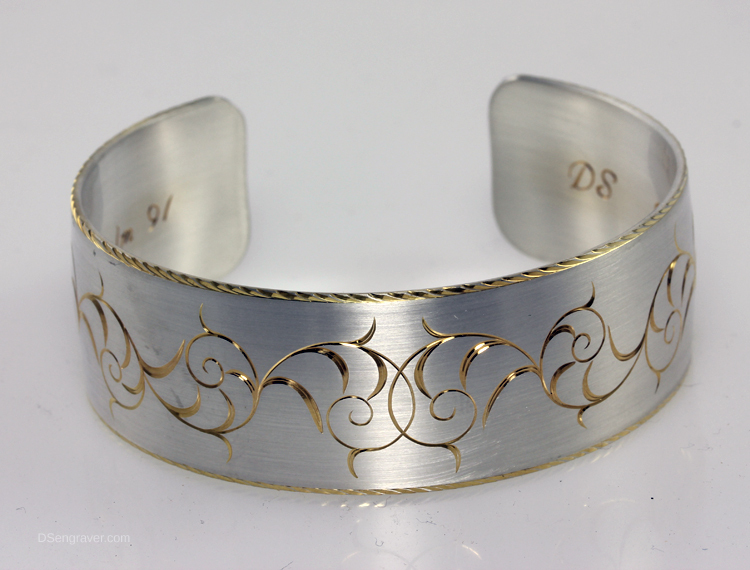 This hand made silver bracelet was created for a good customer in Alabama as a Christmas gift for his mother and he asked to have a special inscription engraved inside the bracelet. 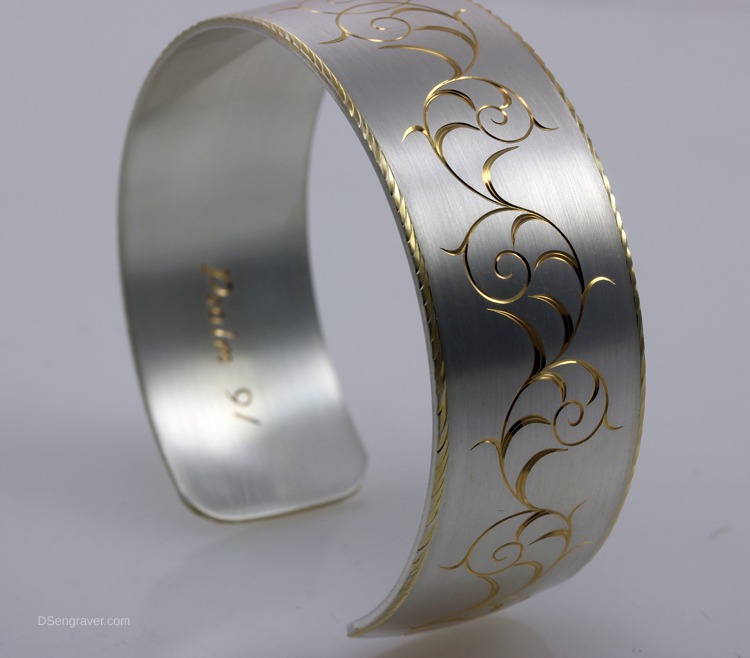 Last year he ordered a hand engraved knife for his sister who is a collector and I am honored that he wants my work to be a part of his family holidays. 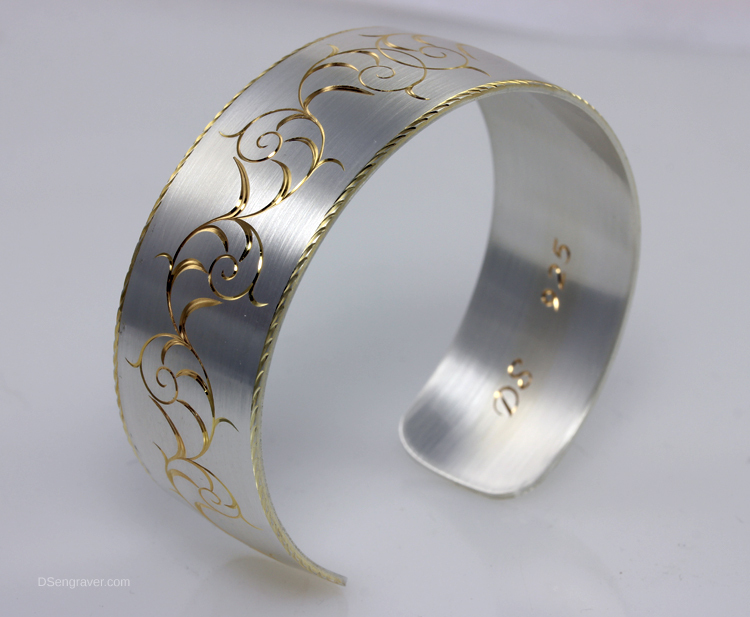 This is a simple but elegant flare cut scroll design and the inside of the engraving is plated with 24K gold. 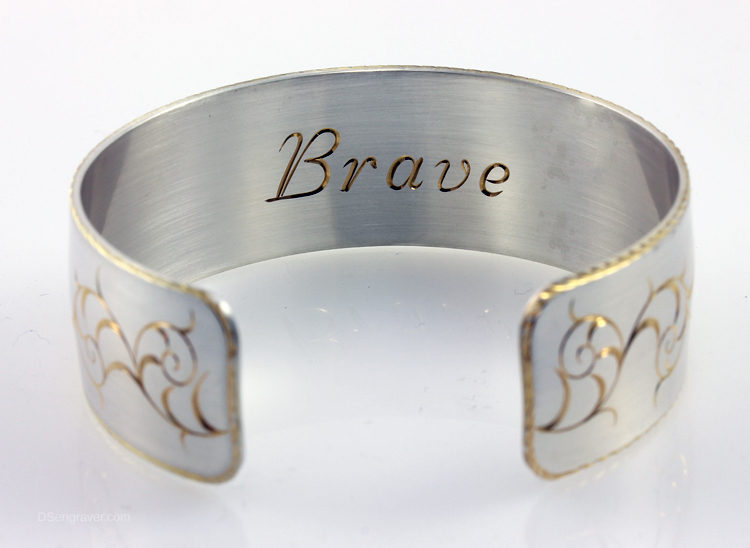 I know that my own mother would have loved wearing a bracelet like this!